A car mechanic turned internationally acclaimed opera star, Alfie Boe has taken Broadway by storm, conquered the West End and has won the hearts of the nation. The first official bad boy of opera, this is the story of his life - the ups and the downs, from finding fame to losing his father - and of his love affair with music. A story not typical of most musical stars, Alfie's dreams of singing only became a reality when fate intervened in the form of a stranger: he was training as a car mechanic when a customer overheard him singing and told him about a London audition. Alfie tried out, got the part and has never looked back. Celebrated worldwide and lauded by Baz Luhrman and Cameron Mackintosh as the best tenor we've produced in a generation, for the first time, he will grant his millions of fans an intimate glimpse into the life of the man they adore. Alfie Boe is the most amazing singer/performer I have ever seen, and that includes Elvis Presley's debut on the Ed Sullivan Show and my father's old opera records. In his early interviews, he seemed so mild-mannered as to put a choir-boy to shame. Now, he tells the real story of the hard time he had fighting for a place in a world that regarded him as just some kind of blue collar lout, almost unworthy of being on the great stages of opera. Happily for us, Alfie kept on going, even when it seemed nothing was going right. Now, Alfie has left the world of opera (we hope its not permanent) for the concert stage, performing musical theater, folk songs and rock - all with consummate ease. In the past year, he has transformed himself from an opera star to a singer/storyteller who enchants audiences with his vocal talents and personality. If you know a young person, struggling to make it in his/her chosen field, give him/her this book. It is a real eye-opening inspiration. Since we all can't sit down in the pub for a beer with Alfie, this is the next best thing. It's an inspiring story, told with humor and humility. Sing on, Alfie, sing on. And if he is appearing in concert near you, buy a ticket for an enchanting evening. When I listen to cross over opera pop singers or the likes of Josh Groban, for example, I look for albums with songs that are new, that I am not used to hearing. I hate hearing the same old same old, like The Impossible Dream. Alfie does not sing this thank goodness. I liked his inclusion of Over the Hills and Far Away, and Wheels of a Dream, for example. Thank goodness he didn't sing the more familiar, overdone classic songs. Too bad that it seems there are no Henry Mancinis, Burt Bacharachs or the great song writers of the 1950s and '60s that fed music to Sinatra, Tony Bennett, Dionne Warwick, and so on. I miss that. Singers have to rely on Broadway classics or find new composers. So I think the choice of songs is good here. Broadway, classic popular songs, some Gershwin, folk and highlights from Les Miserables. An outstanding album, Alfie. I hope you produce albums for years and years to come. Take care of your voice, it is truly something special. 5.0 颗星，最多 5 颗星Amazing- What a voice! Last year I had the opportunity to attend one of Alfie Boe's live performances. It was magical! I took my parents and even my tough guy dad loved it. "Bring Him Home" moved him to tears, as it did most of the audience. His live performance is stronger than his recorded performance but I think that is to be expected. This cd is really a great one to have if you are an Alfie Boe fan. I loved this recording of "Bring Him Home" and thought he did an incredible job, even though it was not filled with as much depth and desperation as it was live. I did not like the duet "Sing to the Siren" he did with Robert Plant. I often like a duet where they voices are so different that they actually work but this was a mess. Too bad, as the song is beautiful! Had he done it himself it would have been incredible. I will skip over that song in the future. I like the arrangements and the good mix of songs. I hope someday to be able to see him perform again. I first purchased this album as a gift for my husband who normally listens to only country music. However, he saw Alfie Boe on the 25th anniversary concert of Les Mis and recognized right away what a wonderful talent Mr. Boe was in the lead role of Jean Valjean. So, I gave him this CD. He popped it in his car. After a few days, he asked if there was any more. Apparently, he was not listening to any of the other CDs in his car, only this one and he wanted more. I also purchased the other Alfie Boe CDs on Amazon and they are all favorites of ours and all in rotation in both our cars and in our home. Yes, once again on this CD, you can hear songs not auto tuned or manipulated but sung by a really highly trained artist who uses his skill and his heart to interpret the songs brilliantly. Alfie Boe sings from the heart to the heart. I love all kinds of music from opera to musical theatre to classical hymns, to classic rock. 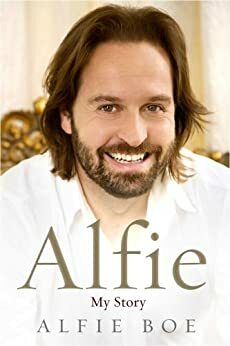 Listening to Alfie Boe, I know I have found a kindred spirit who is not afraid to sing all types of genres and sing them well. As soon as I try to pick a favorite from this album, I think, "Oh, hang on a minute. I really like this one, too!" However, I will give it a go. My husband's favorite song is In My Daughter's Eyes while I love the richness of Mr. Boe's voice in Wheels of a Dream. It Was A Very Good Year is haunting and wistful. The First Time Ever I Saw Your Face is so quiet and filled with love. Maybe, it's Maria that might be my favorite because he captures the character of the song so well. It's so hard to choose. No matter what, I think you will enjoy this album very much.